How you can use the results of their StrengthsFinder profile in practical application? Why Alissa doesn't believe in the notion of work-life balance. What are the “4 steps of the Frickin' Awesome process” Alissa talks about in her book? What are the 4 exercises that can help someone understand what sets themselves apart from anyone else in Real Estate so they can capitalize on that? You might mistake my guest today for Superwoman and if you do, you won't be alone. But Alissa believes YOU have Superpowers too! 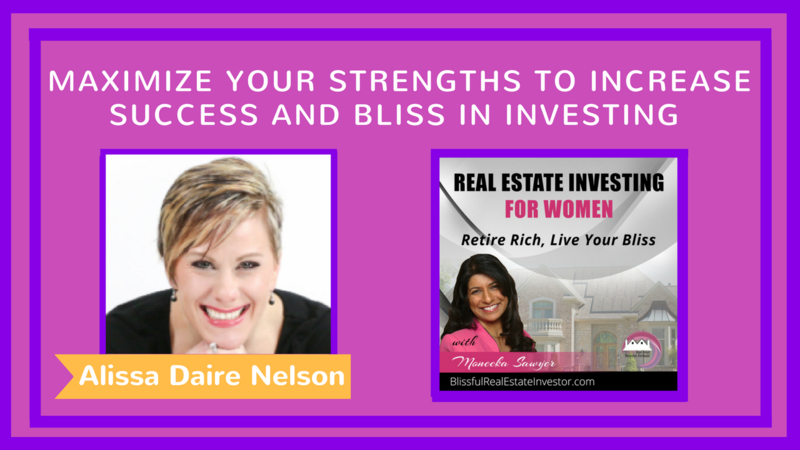 Alissa Daire Nelson is regularly featured on television news segments, inside major blogs and publications, and on podcasts from all over the globe. She's an accomplished Success Coach, Speaker, host of the Maximize Your Strengths podcast, as well as published Author of the hot new book; From Frustrated to Frickin' Awesome: 4 Steps to Achieve the Success You're Wired For. But more than anything else she's an exceedingly proud wife and mother of two, who loves helping others discover how to make their businesses and relationships thrive in harmony.